1. Call the meeting to order: The meeting was called to order at 4:00 pm. Those in attendance were: Donna Thompson, Gary Braun, George Toolson, Jeff Earl, Kirk Sessions, Bonnie Johnson, Sharon Chumley and Bob Manning. 3. Greens Committee Meeting Highlights. Gary gave an overview of the discussion of the greens committee meeting. -The Golf Committee began reviewing the planned 2011 golf tournaments and related tournament orchestration with the following result: Property Owner’s Tournament: The Property Owner’s Tournament will be held June 24th and 25th. Each day will be a separate tournament. Friday will be a 2 person best ball format. You can pick your own team. The cost is $30 per team. Flights will include mixed, mens, ladies and senior flights. Green fees are free Friday, Saturday and Sunday for all members and their lineal family. Saturday will be a 4 person scramble. You can pick your own team or sign up individually. This will be a fun tournament. No handicaps, or green fees. There will be a few various competitions occurring during the round. Sunday, June 26th will also be a free green fees day for SVRA members and their immediate lineal family as will swimming and tennis for all 3 days. This action was approved by the Board of Directors in the June 21st monthly board meeting. – We are looking for sponsors for all of our events. Teton Motors is going to supply a hole in one car for our scramble to be held in September. – Star Valley Member / Guest and open invitational: There will still be no greens fees charged for pass holders. We will also include more flights including a seniors flight. There was discussion about getting sponsors by paying a percentage of the money collected to the people who go and collect it. This years Member Guest and Open Invitational will be actually two tournaments played the same day, at the same time. The first is the Member/Guest which “must” be one SVRA home/Lot owner and one outside guest playing together.. The second tournament is the Open Invitational which can be two non Association members or two Association members owning lots wishing to play together. For additional details please call the Cedar Creek Pro Shop. a. Review of 2010 goals actual performance and 2011 goals discussion. This has been tabled until the June meeting because so many members are not back from the winter yet. b. Review the effectiveness with the 2010 pilot project of “Prime Time Charging Practice.” In the interest of time this item was also carried over into a future meeting. a. Golf Prices for 2011: The golf prices for the 2011 season were discussed. There was general consensus that the path we are taking to make golf more affordable is the way we should be going. b. Junior Golf Discussion for 2011 with committee input collected last month: Tabled until next month. 8. Adjournment: Meeting adjourned at 5:55 pm. 9. The next Golf Committee Meeting will be June 16th @ 4:00 PM in the Silo. Meeting was called to order at 2:00pm by Director Braun. 1. Review Prior Minutes: Approved minutes as recorded. a. Soil Samples: Kurt Richmond reports that the town has completed digging for the season and that they would be unable to get any consistent samples at this point. This action will be delayed until next spring when the town continues its digging projects. He also reports that he has talked to Derk Izatt about doing some excavation work on the ponds along with providing bentonite. Action Item (Winter) Kurt and Kirk: Meet with Derk Izatt and discuss options for work on the ponds on holes #13 and #16.
b. Contact Shooting Star: Kurt Reports that he has contacted Shooting Star. They do not have any extra pond liner. c. Water Distribution System Meeting: Kurt reports that the creek that runs along 16 and 13 is just overflow from the irrigation system and we would be able to use that to fill our ponds on those holes. This water is currently running out into a field and then going underground. There was also discussions with everyone present at this meeting up Green Canyon about how we can better capture some of the overflow water and put it back into the irrigation system. d. Tee Box Signs: Korry Wheeler reports that he has still been unable to locate the company that we have previously worked with. However, in researching the cost of replacing stickers he believes there may be other and better possibilities. This would include creating our own drawings and having the printing done through another company. As we are already doing the drawings ourselves, it might be possible to also use them for a yardage book. Action Item Korry: Investigate possibilities more. Robie Robinson also stated that in order to help with the yardage book and tee signs, he had a map which showed the yardage of each sprinkler head to the middle of the green. Action Item Robie Robinson: Give yardage map to Kurt Richmond. a. Equipment Lease: All of the equipment bids are in. SVRA is going to purchase the equipment with capital funds and then lease it to the Greens Department. The Greens Department will then pay back the lease at 6.8% interest. This money will go to reimburse the capital funds. b. Winterizing: The Golf Course is currently being winterized. – The Irrigiation System will be drained Friday, Oct 15. – A compressor will be here Monday so that Kurt and his crew can blow out the water from the irrigation system. – Tee signs will be taken down next week. – Kurt will continue with his fungicide program on the tees and greens. – As the time for snow comes closer Kurt will plan to rope off greens and ponds to help keep down damage from Snow Machines. 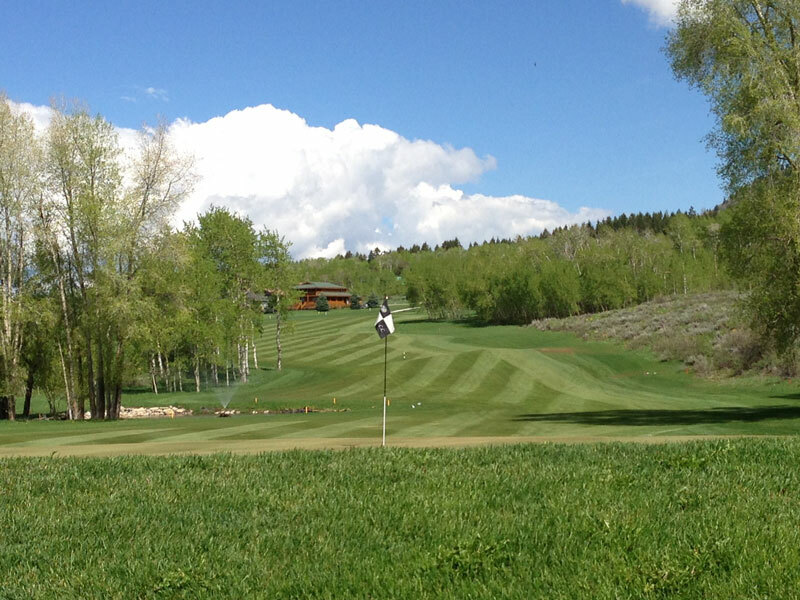 – Aspen Hills Golf Course has been fertilized and is still awaiting two more applications of fungicide. c. Condition of the Greens: Kurt stated that the PCMB product which he has previously used as a fungicide to prevent winter damage has been discontinued and is no longer manufactured. Because of this he has had to switch fungicide programs. He hopes that the new program will be just as effective as the PCMB program and that our greens will be just as nice next year as they were this year. d. Cedar Creek Park: Cedar Creek park has been aerified, seeded and top dressed with ¼ inch of sand to cover the seeds. It has also been fertilized. The last of the broken valves has been repaired. The area around the pool was also top dressed to help level the grass with the concrete pad. The sand in the horse shoe pits has been dug out and replaced and the horse shoes will be wire brushed and painted over the winter. e. Cedar Creek #13 Bathroom: The bathroom area on #13 is finished. f. Aspen Hills #8 Tee Box: The tee box on #8 of Aspen Hills will be sanded and prepped so that it will be ready to have sod put down next spring. It will be open for use for Memorial Day weekend. Cart Paths: There was discussion about what priorities we have in place next year for cart paths. It was stated that the Greens committee had previously put in place a priority list of cart paths. Gayland Archibald should have this list. Action Item Gary Braun: Contact Gayland Archibald to get a copy of the Cart Path Priority List. Action Item Greens Committee (Next Spring) Think about cart path priorities for next year and in the future. 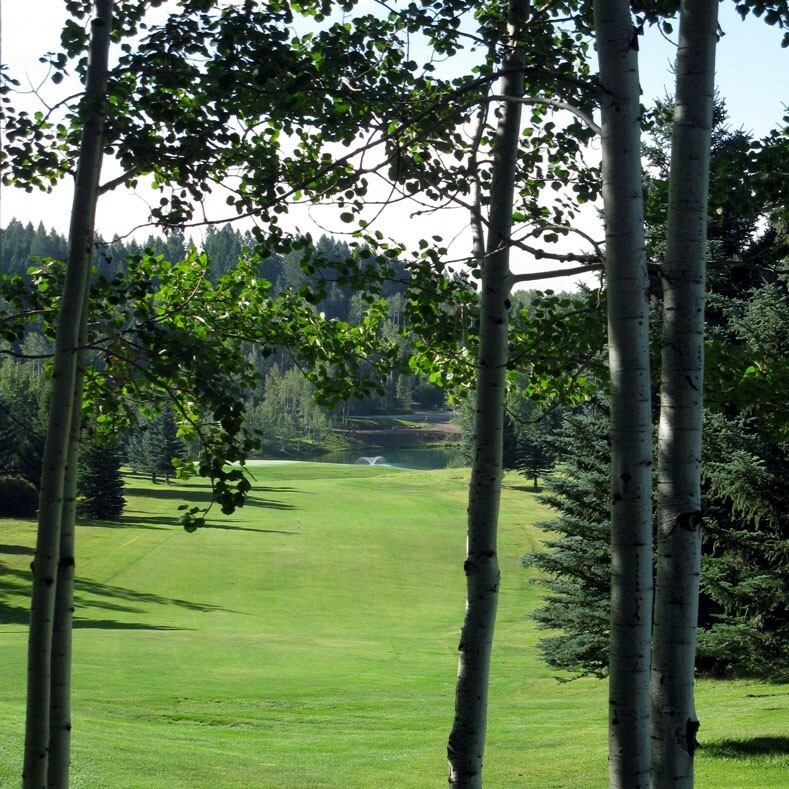 New trees on the course: The trees in the current “tree farm” at Aspen Hills will be moved to their new homes throughout the golf courses from Nov 1 through the 15. This will be done with help from the town. #16 Tee Box: The tee box on hole #16 is in need of serious repair. Kurt stated that he has plans on rebuilding the tee box, but wants to do it at the same time the new cart path is being built. This might make it necessary to have a new cart path on hole #16 be a top priority in 2011. Vole extermination: Kirk Sessions and Blair Toland went out with a rodent exterminator to look at the possibility of having him take care of the voles that have been damaging the course. He would pump gas into the tunnels and then light it. This would cause a small explosion underground. Kirk stated that a couple days later, the voles were back. It has been decided that along with many concerns about this type of extermination, other possibilities will be looked into. 5. Adjournment: The meeting was adjourned at 3:45 pm. Meeting was called to order at 4:00pm by Director Braun Co-Chair. Attendees: Kirk Sessions General Manager, Director Gary Braun Co-Chair, Bob Manning, Randy King Co-Chair, Gayle Brice, Rolf Burmeister, Korry Wheeler. 1. Review and approval of the Sept. golf committee minutes. The minutes were approved as written. 2. Golf Pro Report: Randy King gave his report as follows. Discounts given on merchandise this year totaled around $28,000 out of a total of a little over $100,000 in sales. The inventory on hand is down to $42,000. The total rounds for the year are about 2000 rounds behind where we would like to be. We generally make about $5 per round in merchandise sales. If we could improve our number of rounds next year, this would be a big boost to our revenue. The new pricing strategies that in place will help our revenue next year. The 2010 budget shows that SVRA is down in punch cards, season passes, green fees and yearly trail fees. Golf Policies: Gary Braun revised the current golf policies and asked that the Golf Committee review this and give him their input. Over the winter he will compile all of the input and produce a new set of golf policies. Action Item Golf Committee: Review Golf Policy and Procedures and send comments to Gary. Golf Marshals purpose/authority: Rolf presented a draft of various regulations that could be incorporated on the golf course. He asked the other members of the committee to give him their input so we can come to an agreement as to the rules that need to be established on the golf course. (See attached document). Action Item Golf Committee: Review the draft, give suggestions to Rolf Burmeister. These events will be defined and described by the golf pros and revised by the golf committee. Action Item Randy/Korry: define the golf tournaments. Overall Golf Business: This was a tough year for golf. The total golf operation looks to come in $75,000-$90,000 under budgeted revenue. Although the new fall prices have helped us to catch up from what we were looking at before the new prices went into effect. 2011 Prices: The golf committee discussed introducing a low pricing strategy next year. We would like to be known as the high value course. We offer a well maintained golf course at a very reasonable price. Daily trail fees need to be raised to make it more in line with the yearly trail fee price. Right now it takes 42 rounds to make it worth buying the trail fee. If we bring the daily price back to where it was, it will take this number down to 25 rounds. There was discussion as to whether or not we should allow RV park members to buy a member season pass. It is believed that this would increase the amount of season passes sold and would be an incentive to get people from the RV park to come and spend their money at our course. It was also discussed whether or not the season pass would include green fees to ALL tournaments. This has been an issue in the past because it would require we charge a number of different entry fees instead of making a single entry fee into a tournament. Ladies’ Invitational: There was discussion as to whether or not the Ladies’ Invitational should get a discounted green fee as they have in the past. It was decided that this tournament brings in a good deal of revenue and good will for the golf course and therefore we should treat them as valued customers and offer a discount for a large group. This same concept should also be used for other large groups. We should make a discount available for guaranteeing a certain number of people. In the past, large groups have been charged to play due to the $5 player fee that has been attached. Action item Gary Braun: make a motion at the October board meeting to reduce the Ladie’s Invitational Green Fees by 50%. 2011 Calendar: It was discussed as to who is in charge of putting together the calendar. At this point the office has the calendar done for all the events except for golf. The mens and ladies associations will get together to finalize their calendar and then send it up to office so we can finalize the entire SVRA 2011 calendar. Action Item Rolf Burmeister, Jeff Earl, Gayle Brice and Randy King: Create Golf Calendar and turn into General Manager. Attendance: Bob Lujan (Co-chairman), Kurt Richmond (Co-chairman), Terry Wilson, Kirk Sessions, Jim Chumley, Gary Braun, Mike Blackman, Kathleen McKinley, & Korry Wheeler. Minutes of previous meeting: Gary Braun moved that since we had all received the minutes by e-mail the minutes be approved without reading. Kurt Richmond seconded. Vote was unanimous. Potential Pond repairs were discussed for the ponds on Cedar Creek 13 and Cedar Creek 16. Terry Wilson was invited to talk as he has significant experience in building and repairing ponds for commercial use. Terry indicated that he had looked at the ponds, measured them and believes that they could be repaired by cleaning out plants, large rocks and debris, and lining them with clay material and bentonite. Terry said that the material currently being excavated by the Town for the new storage tank and pipeline appears to be of the quality that would work for the lining project. He recommended getting a sample analyzed for gradation and permeability as well as mineral content. Kurt Richmond said he could get that done. This would take about 500 cubic yards of clay for an 8 inch layer of clay on the pond bottom. Another ½” of bentonite tilled into the clay would be best, but, pending the results of the clay analysis, this may not be absolutely necessary. Terry estimated that the cost to line both ponds with clay and bentonite would probably be in the range of $10,000 to $15,000. This would also include sterilizing the soil, compacting the clay and installing overflow equipment. If the clay that could be obtained from the Town would fit our needs this cost could be about $5000 less. Liners costs were then discussed by Mike Blackman and Bob Lujan. The cost for liners depending on liner thickness ranged from $2600 to $5600 for the liners and equipment. Additional costs would be similar to the cost to obtain clay material and spread it as in the estimate by Terry. Kurt Richmond said he would contact the people at Shooting Star golf Course in Jackson to see if they had extra liner material available from their recent pond project. After further discussion Kurt said he would put $5000 into his capital budget for 2011 for the repair of one pond so we could get a better understanding of the process before doing the second pond. Kirk Sessions said that little had been done in regard to lessening the load of this work on Kurt Richmond, but would be solved through the winter. Kurt Richmond said he has replacement valves on order for the bad ones in the park, and would be placed in operation as time permits. An order for chemicals was being prepared in the amount of $15,000. Val Stewart contacted Kurt to say he is not getting enough water. Kurt has reduced his used form 500 gpm to 200 gpm. This problem is going to get worse next year as Stewart puts his course into play and starts watering during the night. Kirk Sessions says he has a meeting scheduled with Val the week of September 20. Korry Wheeler reported that he could not find the information on where the old signs had been obtained so not much had happened. It was suggested that he contact Scott Johnson and/or Bill Wallace to see if they could remember. He said he would follow up with them. Kathleen McKinley said that the ladies were concerned about the people mowing not getting out of the way when the ladies were hitting. Kurt Richmond said he would like to not have any tournaments scheduled from September 15 through October 30 so he could get his end of the year work completed without too much disruption. Gary Braun requested that the tee box markers be moved more often to ensure that the grass did not get destroyed in one area. Kurt Richmond said he would like to start replacing the PVC out of bounds markers with better looking square plastic markers. Kurt Richmond get soil sample of clay material from Town pipeline excavation and have gradation, permeability and mineral composition analyzed. Plus estimate on how much bentonite might be necessary for permeability plugging. Kurt Richmond to call Shooting Star golf Course to see if they have any pit liner material they would want to get rid of. Kurt Richmond to put $5000 into his capital budget for repair of pond on CC hole 13. Kirk Sessions to have plan together for maintenance of the water system at Cedar Creek Park to help unload Kurt Richmond for golf course work. Kirk Sessions and Kurt Richmond meet with Val Stewart to review water measurement and distribution system. Mike Blackman moved that the meeting be adjourned, Gary Braun seconded vote was unanimous. The meeting was adjourned at 4:00 pm. Read by Korry approved by Committee. Bob, Mike and Kirk to review existing ponds and recommend future actions to pursue. Korry, on Randys behalf, presented several options. Discussions were also held on the existing program. The committee Recommended, in part due to current economic conditions, to Utilize the current signs in place. (Action item Korry). Upon review the feasibility of using future golf cart capital funds to address T box markers. The committed recommeded all poison is to be controlled/dispensed by the Greens Superintendent. All outstanding equipment/poison is to be returned to the Kurt immediately. Kurt will instruct/train and check out equipment to those persons interested in assisting with the program. Kurt is also currently looking at new equipment leases adn will report on after his review. Jim, Gary, and Scott will work with Kurt and Kirk to evaluate equipment, costs and options.